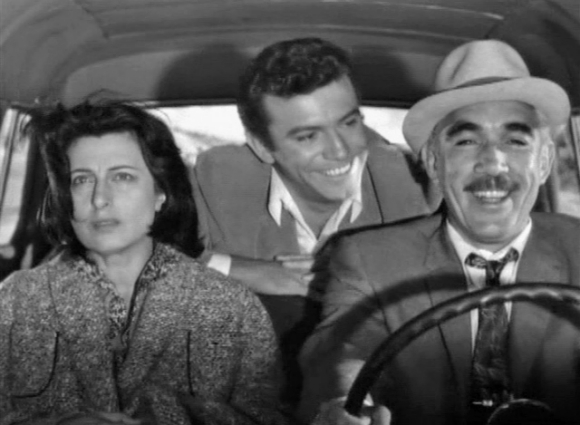 WILD IS THE WIND is an emotional drama from 1957, vibrantly directed by George Cukor, who drew Actor and Actress Oscar nominations out of Anthony Quinn and Anna Magnani. An earthy Italian-American sheep rancher brings an equally earthy bride back from Italy to share life on his Nevada rangeland. 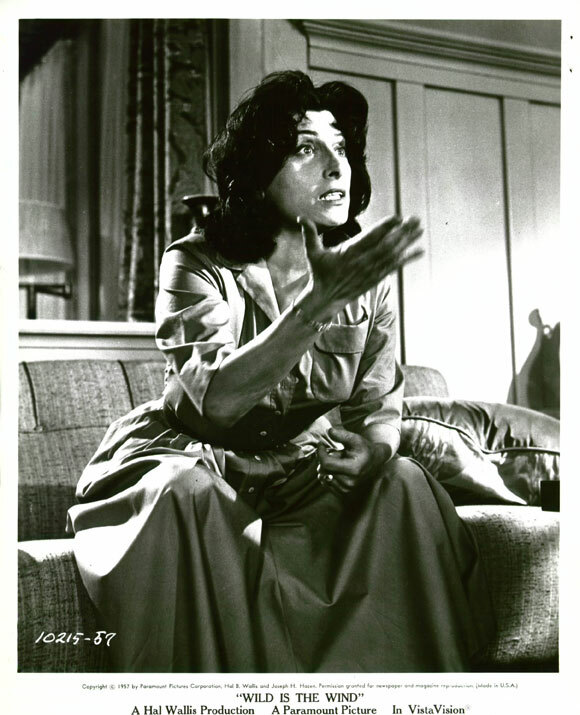 His ward and surrogate son, played by Anthony Franciosa (may as well say ‘earthy’ for the third time and get it over with) becomes entangled with the woman, even as the relationship between Quinn & Magnani gets more tempestuous by the scene. The slender plot has been padded out to 114 minutes, twenty more than is really needed since the drama is exhausting enough without the extra running time, a minor beef, as it’s so superbly acted. 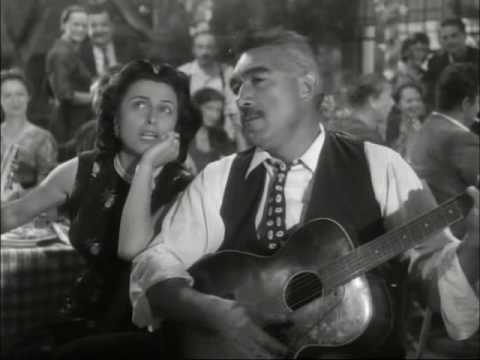 Quinn and Magnani make a vital team: it’s one of his best roles from the period and the volcanic Magnani is a force of nature. Franciosa handles his less colorful role effectively. He was all over the screen in his breakout year: along with this critically lauded work he was on view in A Face In The Crowd and A Hatful of Rain (Oscar nominated for that one). Charles Lang Jr. gives the photography properly somber shading, though the backgrounds are so picturesque you somewhat regret the lack of color. Dimitri Tiomkin’s score is just adequate: far from his best; even so, the accompanying song (sung by Johnny Mathis) was AA-nominated along with the stars. An involving picture, with some people to care about, the grosses came to $4,300,000. Co-starring Dolores Hart and Joseph Calleia. The vibrant Quinn & moody Magnani would battle a rematch twelve years later in The Secret Of Santa Vittoria.